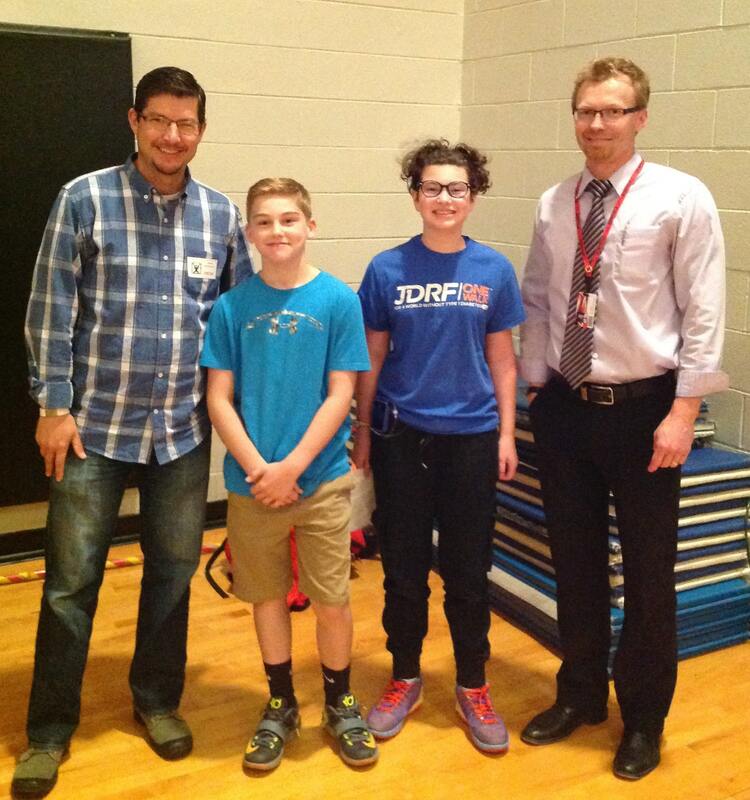 From left: Aspire CMO Marcus Grimm with Luke, Sabrina, and Lee Hawley, all T1D patients, at the JDRF fundraiser at Centerville Elementary School. We talk about data a lot at Aspire. And why not? It’s the fuel that A2i uses to produce better results for all of our ventures. Without data, we’ve got nothing. But it’s really important to realize that the data represents something much bigger. In the case of Tempo Health, it represents the lives of the people with diabetes. Being one of those people myself, it’s a little easier for me to see this. But even so, like everyone, I think of diabetes in the context of what it means to me, and everyone is different. I was reminded of this when I had the opportunity to speak at Centerville Elementary School as part of a fundraising effort for JDRF. I was joined by Luke and Sabrina, two former students at the school, as well as Lee Hawley, former pro soccer player and current teacher in the school district. All of us have T1d, but for each of us, the disease and its impacts on us are different. Diabetes truly is as unique as the people afflicted by it, and that’s why I’m encouraged by the Tempo approach. We have some more work to do to realize our vision of personalized blood glucose management, but when you’re surrounded by such a diverse group of people – all with T1d – it’s hard to conclude that anything but a personal approach is what will work in the long run.